Now in the cold season, we love to take a bath from time to time. 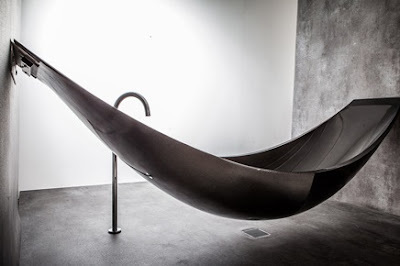 Most of us use a regular bathtub, with some slight difference in shape and size, but all in all its the same. 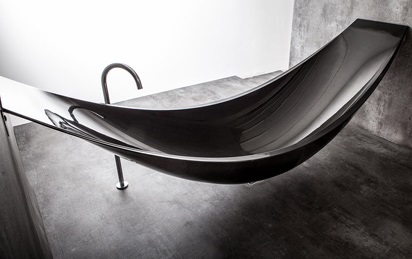 The floating bathtub "Vessel" by Splinter Functions is a bathtub and a hammock at the same time. It is made from lightweight but very strong carbon fibre that looks like a hammock. The material also mimics the weave of the cloth, that way it allows you to realax in an unprecedent way. It can be used in any bathroom that has a tiled floor with a drain. The "Vessel" is attached to the walls with brackets and the water can be released after bathing via the base into a drain in the floor or also through a down-pipe drain. Due to a fome based core layer underneath the carbon fibres, your bath stays warm for longer than in the regular bathtubs, and allows you to just keep on relaxing and keep on dreaming. The chinese year of the horse starts. Horses are flexible but sometimes stubborn, patient and very communicative characters. They are incredibly loyal and put their emotional happiness above their financial success. 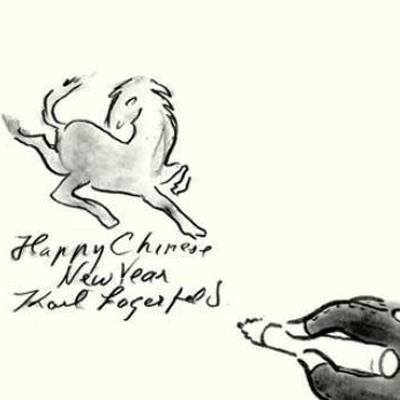 We wish you a very happy Chinese New Year!